I say it’s high time we have a “Be Kind to SIESTA (1987) Day” around here. Poor SIESTA never gets enough love. I guess that’s what a movie gets for being so insane. If only it were on DVD I’d feel fine placing it on the shelf right between fellow trippy brain scramblers, JACOB’S LADDER, ANGEL HEART & MULHOLLAND DR. but sadly it is not (at least not in these parts). 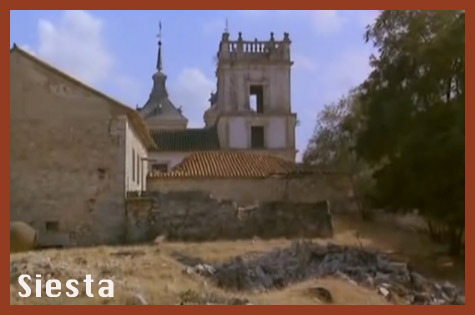 SIESTA is directed by MARY (PET SEMATARY) LAMBERT and you can tell because it sorta visually resembles a MADONNA music video. 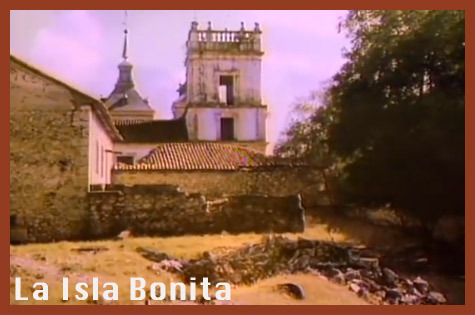 In fact , I believe it shares some footage with LA ISLA BONITA. The tone is something else though, it’s got a creepy nightmare vibe enhanced by a haunting and hypnotic MILES DAVIS score. Rumor has it that LAMBERT asked her pal MADONNA to star but she said, “Nope” which is fine because that’s how we get ELLEN BARKIN.